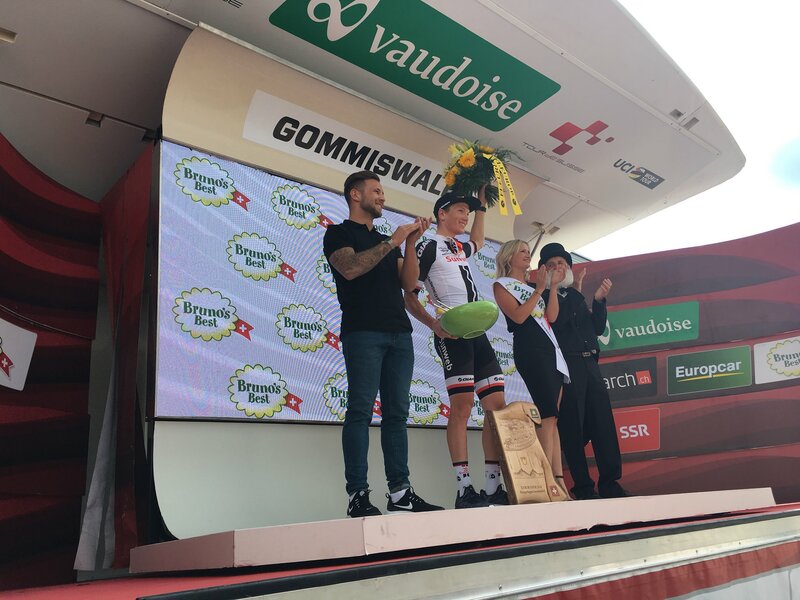 Søren Kragh-Andersen (Team Sunweb) sprinted to victory in stage 6 of the Tour de Suisse today, beating Nathan Haas (Katusha-Alpecin) to the line. 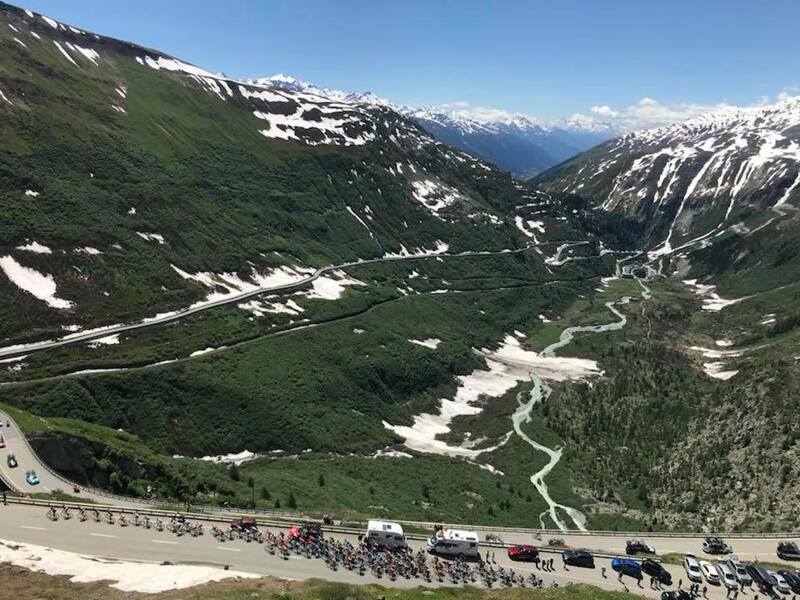 Michael Gogl (Trek-Segafredo) had attacked just outside of the final 2 kilometers, but Kragh-Andersen found the strength to catch the Trek-Segafredo rider while also fending-off a last challenge from Haas to seize the stage honors. 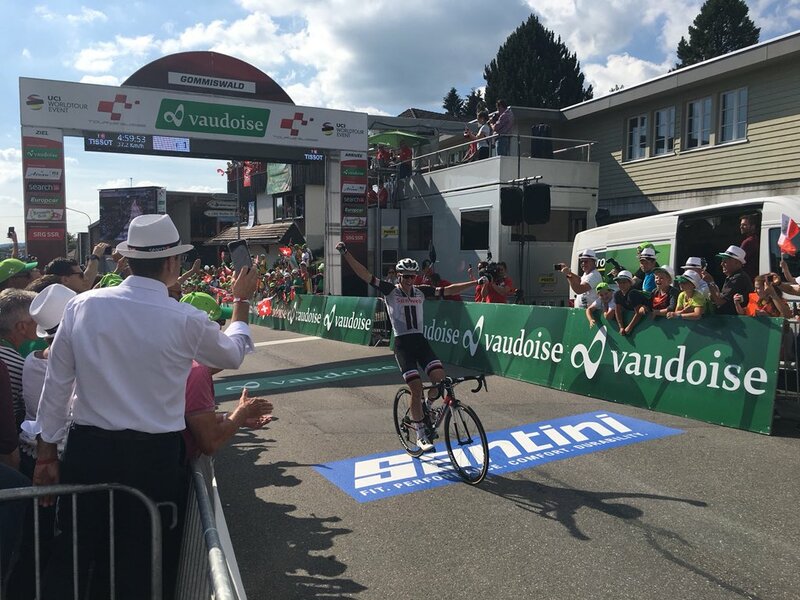 Meanwhile, race leader Ritchie Porte (BMC Racing) managed to increase his advantage by 12 seconds in the overall classification, who now leads Wilco Kelderman (Team Sunweb) by 32 seconds. Seventeen riders came to compliment the day’s first breakaway group, wherein no fewer than 15 teams were represented in the escape. Among the group were riders such as Haas, Kragh-Andersen, Haas, Gogl, Magnus Cort Nielsen (Astana), Gorka Izagirre (Bahrain-Merida) and Patrick Konrad (Bora-hansgrohe). However, much of the breakaway group was dropped along the first climb of the day, only to rejoin their companions on the descent. But, the next climb took its toll on the group, leaving just 12 of the original 17 riders out front, while the BMC led peloton controlled the pace in order to protect the Yellow Jersey of Porte. By the descent of the second climb, only five riders remained out front, including Kragh-Andersen, Haas, Gogl and Izagirre. With just over 2 kilometers remaining, Gogl put in an attack, but he wasn’t able to keep up the effort, as Kragh-Andersen shot past him with 1.2 kilometers to go. Back in the peloton, the GC battle was enlivened when Porte rode away from the bunch to sweep up the remainder of the day’s breakaway riders. In the meantime, Kragh-Andersen continued charging his way to the finish, followed by Haas and Izagirre, while Porte came across 27 seconds later.